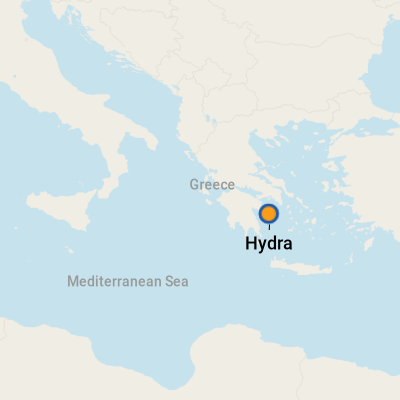 Only 90 minutes away from Athens by hydrofoil, Hydra is one of the closest islands to mainland Greece, making it a favorite beach getaway among the Greeks. The buildings here are white stucco, with red Mediterranean-style roofs, and cluster around a perfect horseshoe-shaped harbor. Only smaller cruise ships from companies such as Azamara, Windstar and Sea Dream stop in Hydra. The island provides a welcome beach break from tours of ruins in this area of the world, although bring your water shoes when you go, as the shores here are pebbly. Currency is the euro. Bank machines are located along the seaside promenade. Greek, but almost everyone speaks English. 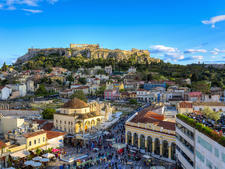 World-famous sights such as the Parthenon in Athens, charming seaside tavernas and crystal-clear waters are all part of a Greek island-hopping cruise. Only 227 of the 6,000 islands and islets scattered in the Aegean and Ionian Seas of Greece are inhabited and some are only accessible by boat, making a small ship cruise the best way discover these idyllic destinations. 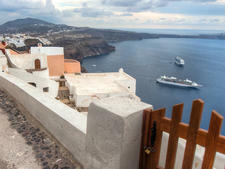 Take a look at our list of the 10 best cruise lines for a Greek island-hopping odyssey. A lesson in ancient Greece begins when your cruise ship docks in the Port of Piraeus (pronounced pee-reh-us), which has served as the port for Athens since the fourth century B.C. 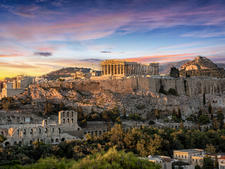 As an ancient Athenian port, it was frequented as the most important trade center of the world. 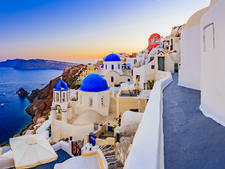 Many Eastern Mediterranean cruises or Greek Island cruises include stops at both Santorini and Mykonos. But if your itinerary stops at only one of the islands, here is our breakdown of Santorini versus Mykonos. Cruise Critic’s primer on the Greek islands explores the natural wonders and cultural experiences on a Greek Island cruise. 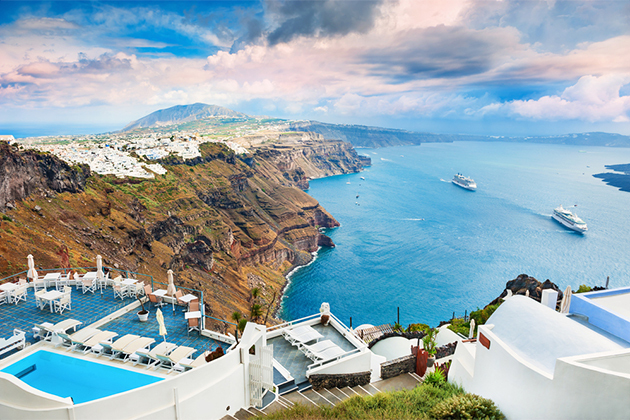 Here's all you need to know about Greek Island cruise planning, including Greek Island cruise tips and the best time to go to the Greek Isles.